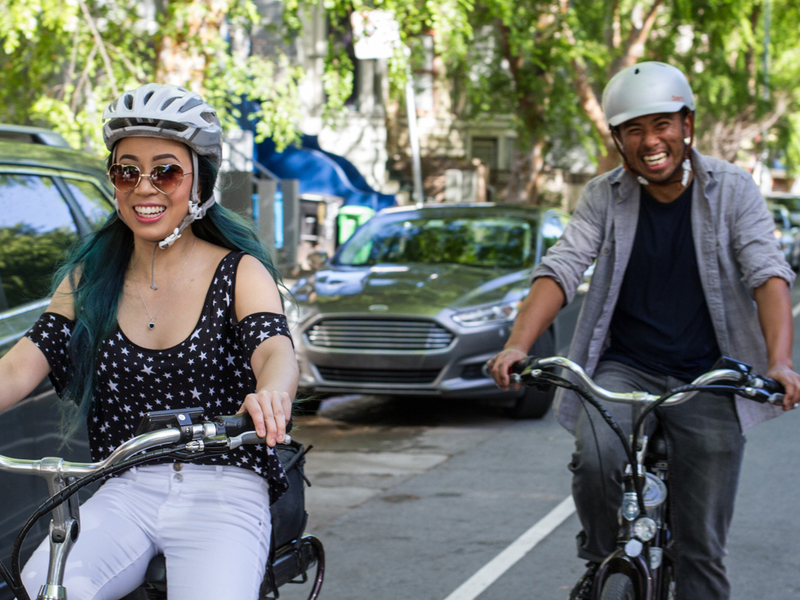 A four-hour electric bike tour featuring plenty of classic SF neighborhoods, parks big and small, and a hilltop view the locals adore. 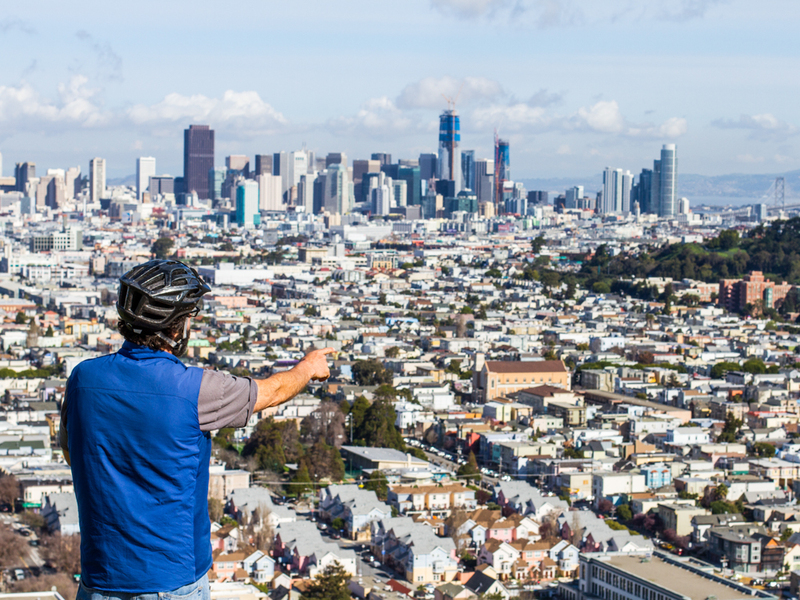 See these Bernal Heights views only on the Mini Majestic. 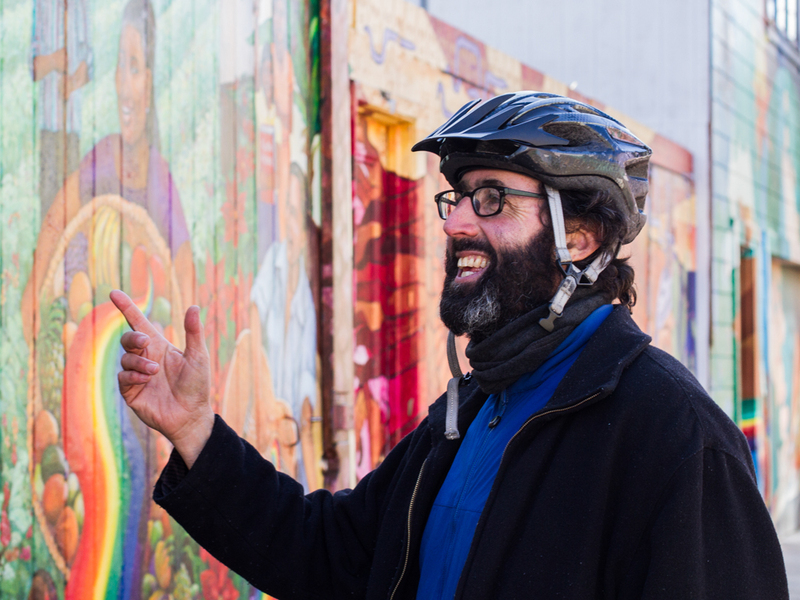 See all kinds of murals filled with city history in the Mission District. Get to know public street art, up close and personal. Cruise down residential streets with old Victorian architecture. 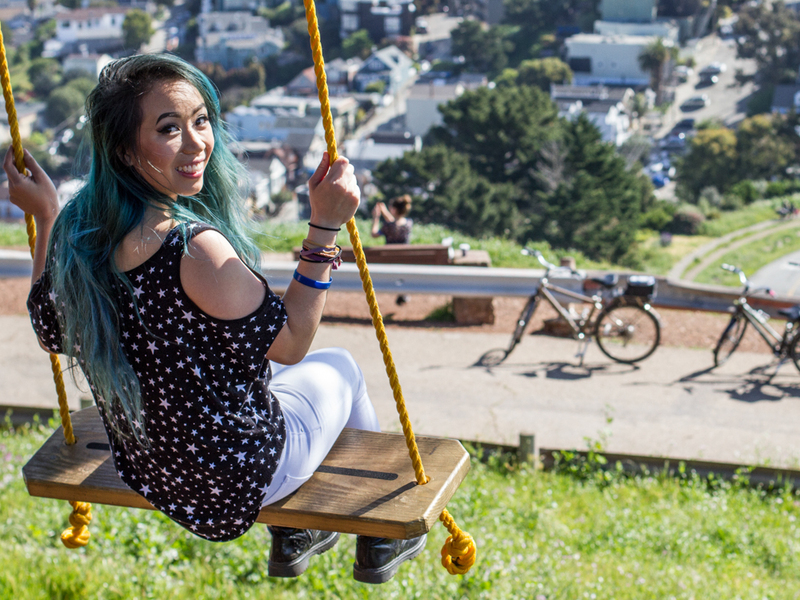 Swing away on Bernal Hill. If you don’t see the Mini Majestic running on your preferred date, please contact us, and we’ll add it, if possible. 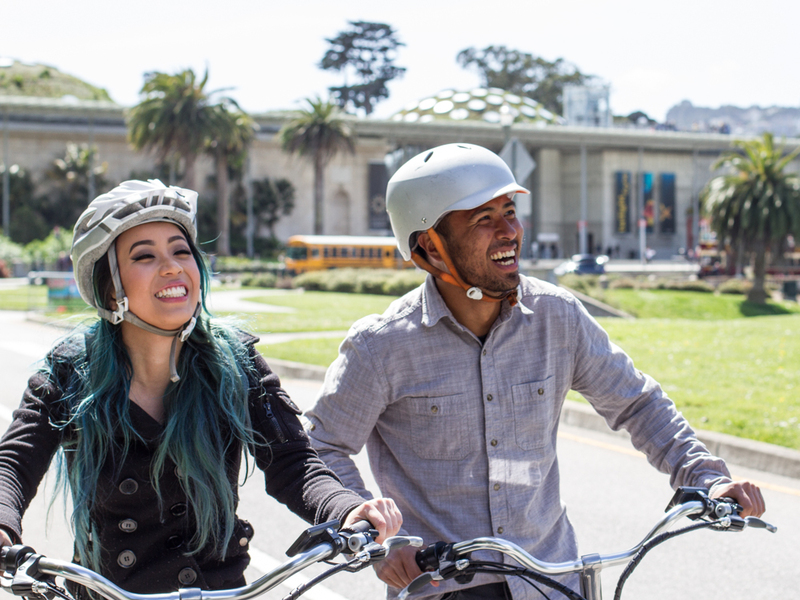 Our Mini Majestic Electric Bike Tour showcases our wonderful city in 4 hours. You’ll experience all kinds of San Francisco: majestic skyline views, beautiful street art in the Mission, the fight for equal rights in the Castro, famous museums in Golden Gate Park, hippie history in Haight-Ashbury, and the iconic Victorian architecture of Alamo Square. San Francisco changes everyday, so depending on the sunshine and your interests, we may visit some other hidden spots as well. 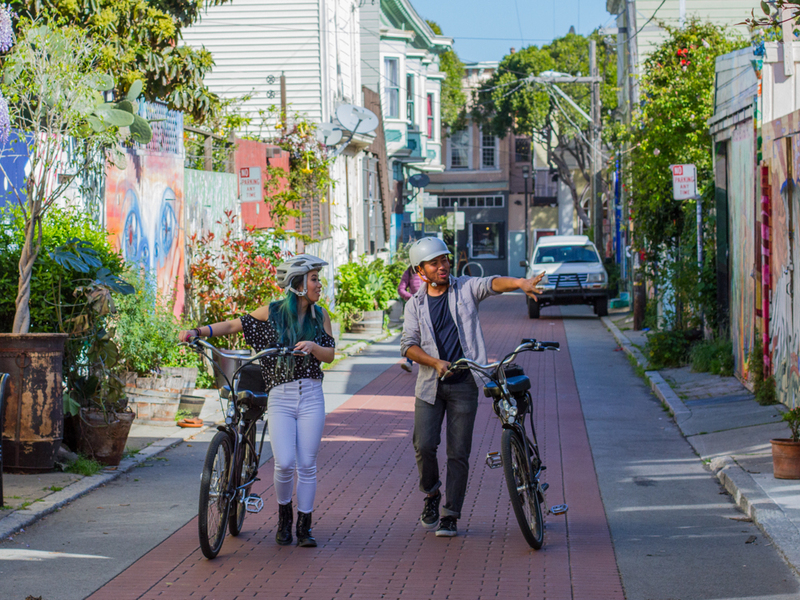 This is our easiest e-bike tour. We ride at a casual pace over the course of 13 miles (21km). You will need confidence and dexterity as we climb and descend a very steep hill on this tour. If you haven’t been on a bike in years, please practice beforehand.